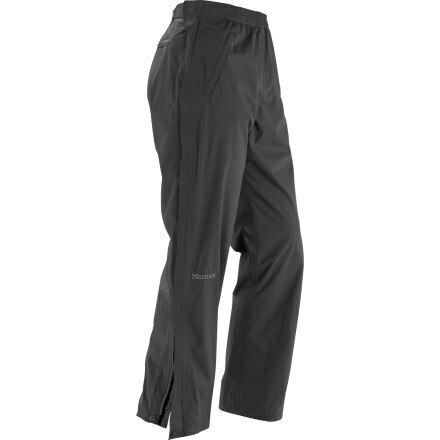 Worth their weight in gold (12oz of gold is worth a lot, right'), the Marmot PreCip Full-Zip Men's Pants will keep you drier than a Saharan summer for about the cost of a pound of sand. Marmot's NanoPro membrane is rated 10K waterproof and 17K breathable, and is enhanced by fully taped seams to make sure no sneaky moisture finds its way in. The PreCip also has full-length side zippers, so you can get your pants on and off over your boots, and zippered pockets to hold your good-gravy-please-come-out-sun-it's-been-two-weeks lucky rabbit's foot.